Since 2008, the Food Standards Agency (FSA) has operated a ratings scheme to measure businesses’ hygiene standards. It makes hygiene compliance critical, as consumers can now search for a businesses’ rating online to help them choose where they eat. Read on as we take a closer look at the ratings scheme and what restaurants need for hygiene compliance. Food handling – How safe are practices for food preparation, cooking, storage, cooling and reheating? Physical environment – Is the layout, lighting and ventilation hygienic? This includes cleanliness and pest control. Hygiene management – How does the establishment keep food safe? From staff training to cleaning processes, this gives inspectors an idea of how standards will be maintained or improved following the inspection. To get the best rating, businesses need to perform well in each of these three elements. Any failures will result in a rating of less than 5 and specific reasons will be given. That way, businesses know how they can work to improve their next rating. So, what steps should restaurants take to improve their hygiene compliance? Everyone who handles food is required by law to have level 1, level 2 or level 3 food hygiene training depending on the degree to which they’re involved in food handling. This covers the vast majority of food handling hygiene and hygiene management, so most restaurants are well aware of how to handle food safety. With this in mind, step one is to make sure all staff have up to date training. However, one area where many restaurants slip up is their physical environment. While it’s required by law to keep staff training up to date, many businesses fall behind with the facilities in their kitchen. 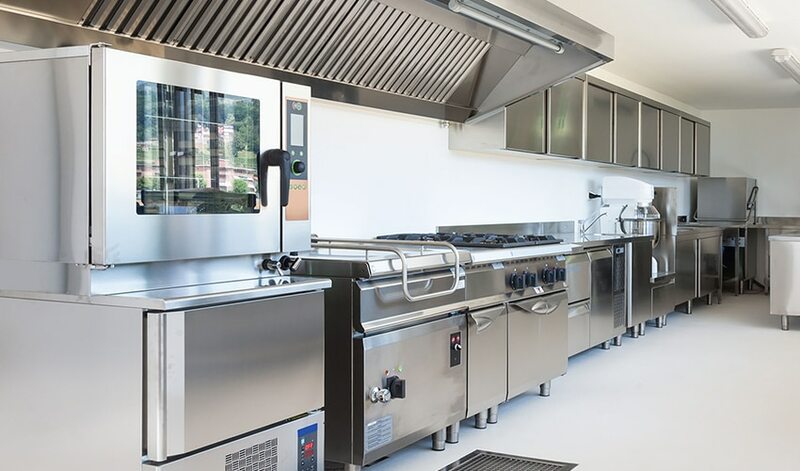 To remain fully compliant, restaurant kitchens should be kitted out with hygienic facilities and furniture from top to bottom. This includes surfaces like table tops, floors and even walls. Even with regular cleaning, unsuitable surfaces or those in a poor condition can be impossible to maintain. Flaking walls and hard-to-maintain tiles are no longer suitable for modern, hygienic kitchens. Fortunately, Igloo Surfaces offers an alternative that’s long lasting, cost-efficient and refreshingly easy to install. Our Arctic PVC wall panels are the perfect solution for commercial kitchens of any size. They’re low maintenance, highly durable and have an excellent rating. Wall cladding is a smart option for commercial kitchens. It’s attractive, cost-effective and easy to install. And whether it’s for a restaurant, workplace cafeteria or school canteen, there are a variety of features to consider before purchasing wall cladding. Read on as we look at 5 points to consider when choosing kitchen wall cladding. 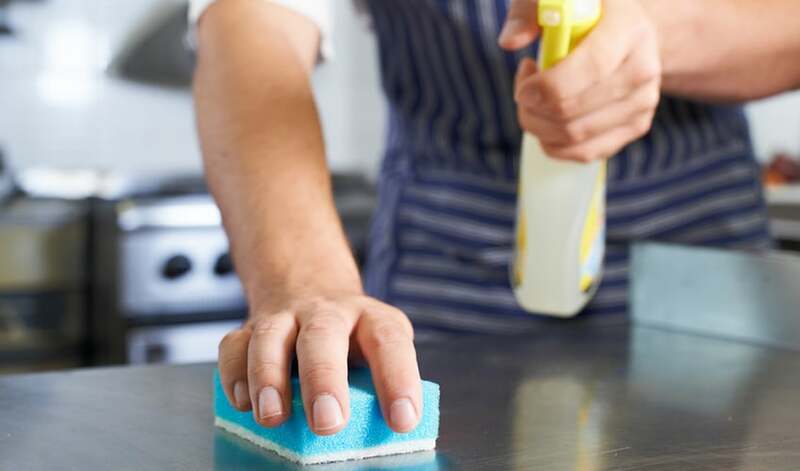 In commercial kitchens, it’s important to make sure every aspect of your set up is compliant with hygiene regulations. For wall cladding, this means finding something that’s easy to clean and doesn’t harbour harmful bacteria. PVC is superior in this sense, because it doesn’t soak up any substances. Any stains show up clearly and surfaces can be wiped clean with ease. Fire safety is paramount in commercial kitchens. From deep fat fryers to hobs, ovens and even electrical appliances, there is a vast array of potential fire starters. What you don’t want is that fire to spread easily. If they’re not fire resistant, walls can provide a quick route for fire to spread. Fortunately, there are fire ratings on products to protect against this. A class 1 rating means wall cladding allows no surface spread of flame. Class 0 provides an additional level of protection, limiting combustibility. Don’t compromise on fire safety. Choose wall cladding that is rated for both class 1 and class 0. Commercial kitchens need to give off the right impression. This is especially the case if you’re serving paying customers. That’s where your kitchen’s design comes into play – and wall cladding has a pivotal role to play. It provides a backdrop to your kitchen and can make or break the kitchen’s overall appearance. Look for wall cladding that’s modern in appearance and, again, easy to clean so you can keep it looking great. Ideally, you should choose wall cladding that’s white for practicality. This will make any stains easier to spot and clean. Commercial kitchens are a harsh environment. That’s the case not only for kitchen staff, but also the equipment and surroundings. Wall cladding needs to be able to withstand constant knocks, spills and heat over long periods every day. Be sure to choose durable wall cladding or you could end up forking out in the future to replace and repair panels. PVC is a good option because it’s strong, heat resistant and won’t weaken over time like some other materials. Chances are you have a budget for refurbishing your commercial kitchen. And wall cladding costs can easily stack up if you’re not careful. After considering the key points above, be sure to consider how cost-effective your wall cladding is, factoring in its durability and how much it could save you over time. If you’re looking for commercial kitchen wall cladding that ticks all the boxes, Igloo Surfaces can help. Our innovative Arctic PVC wall cladding system provides high quality, versatility and durability in abundance. It’s hygienic and fire resistant – rated Class 1/0 – with a 20-year guarantee for complete peace of mind. To find out more or order your free samples, don’t hesitate to get in touch. Bathroom wall panels are a hygienic, convenient and long-lasting option for bathroom and shower walls. They eliminate the hassle and mess of tiling, as well as being 100% waterproof and easy to clean. Let’s face it, we’ve all seen how dirty and worn tiling becomes after a few months. But with all this said, it’s still important to choose the right supplier for your commercial job. With the wrong supplier, you could suffer from substandard quality, poor service and unexpected costs along the way. Don’t be caught out. Read on as we look at 7 important considerations when choosing your bathroom wall panel supplier. First on the list – does the supplier provide a specialist service for commercial and trade clients? Buying from a general retailer means you’ll be buying in bulk without the associated benefits. You won’t get specialist support and they probably won’t be able to facilitate large or repeated orders. Instead, look for a supplier with a dedicated commercial and trade service to support the needs of your project. They can provide you with a quote for the specific needs for your job, which could save you plenty of money in the long run. When you’re fitting wall panels, you want to make sure everything is right. That’s why it’s essential to find a supplier that offers comprehensive support. As well as support online, by email and over the phone, it’s useful if suppliers provide help guides with videos to make installation a straightforward, hassle-free process. You don’t want to compromise on quality when you’re buying bathroom wall panels. Nor do you want to order a truck load of the wrong thickness or finish. By finding a supplier who provides samples, you can ensure you’re getting the exact product you need and check its quality before you purchase. When you do finally make the purchase, you don’t want to be worried about security. Make sure your supplier has a fast, convenient and secure form of payment, such as PayPal. How long do you want to wait for your order? For most trade clients, speed is essential. You want your order within a few working days, so you can complete jobs on time. Find a supplier than can match your needs. Some good suppliers will also offer free delivery on orders that meet a certain value, which is worth considering if you want to minimise expenditure. What happens if something is wrong with your bathroom wall panels? It helps to know you won’t be left out of pocket. Find a supplier with a convenient returns policy so you can get a replacement if there are any issues with your order. In the long term, it’s also worth looking for a supplier with a solid guarantee of at least five years. Looking for specialist bathroom wall panel suppliers? You can’t go wrong with Igloo. With a dedicated service for commercial and trade accounts, simple delivery and returns, and secure online payment, we provide a reliable service that meets all of your needs. Even better, we provide samples, support and a 10-20-year guarantee. Contact our team today to talk about how we can help you. 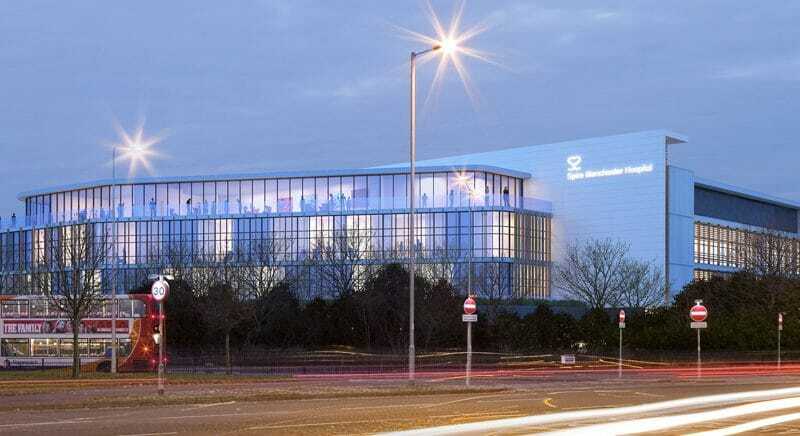 Igloo were excited to win and commence the installation of over 1,800m2 of PVC wall cladding at the iPort site in Doncaster in 2017. Our team installed a standard 2.5mm thick PVC wall cladding with both trim and welded joint detail throughout the different locations in the logistic park. This project took our teams several months to complete as we had to work to the programme of works the main contractor set out from the start which scheduled our works in at different times throughout the programme. However we are very proud that all works were completed within the timescales given by the main contractor with customer satisfaction accomplished. The 6 million sq ft logistic park on 337 acres of developable greenfield land and an impressive 35 acre Strategic Rail freight Terminal providing units with direct rail access. iPort Doncaster is located only 4 miles away from Doncaster Sheffield Airport which is the location of our Doncaster office. 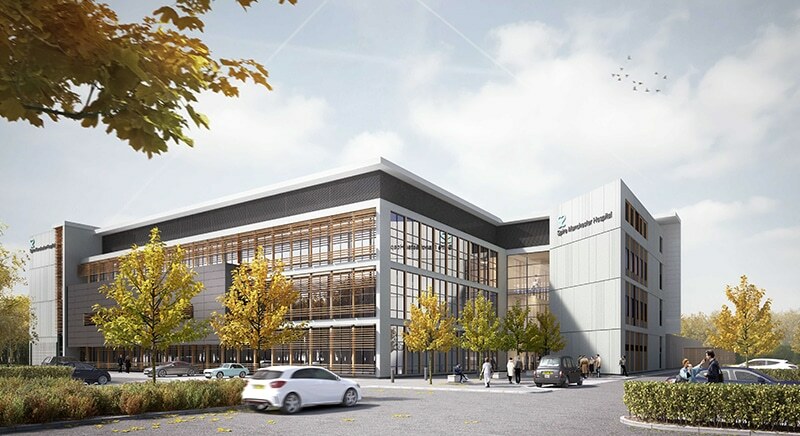 Names such as Amazon, Fellowes, Lidl and Ceva Logistics are already committed or onsite at iPort, Doncaster, one of the largest commercial developments in the UK. Due to the magnitude of works to be undertaken by the main contractor their H&S expectations were very high which here at Igloo we are used to meeting. Our team worked hard to ensure that all H&S needs were met. The H&S credentials that we already hold in place such as CHAS, Constructionline and Safecontractor went a long way to meeting the needs of the main contractor on site. As standard practice our installation team are all CSCS and Asbestos Awareness certified. If you would like to speak to someone about the products, services and in house installation that Igloo can provide please email us (sales@igloosurfaces.com) or ring 01709 329117. Igloo Surfaces – the Hygienic Surface Specialists based in South Yorkshire and working throughout the UK. A refurbishment project went underway at Harrogate Hospital and the main contractor contacted our sales team to price for the project after hearing our wonderful reputation to install the PVC wall cladding. From this enquiry Igloo won the contract to install all the PVC wall cladding at Harrogate Hospital to ensure the refurbishment of the hospital was on target and to standard. 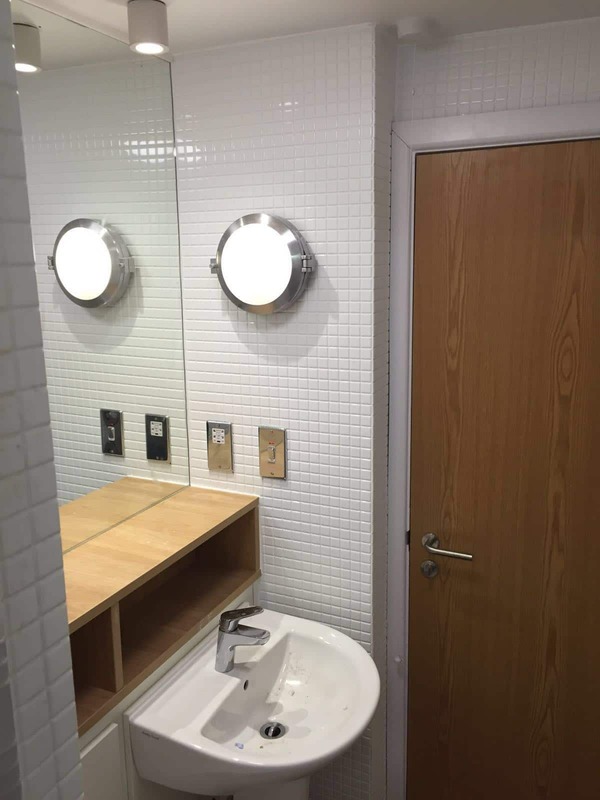 Our installation team expertly installed over 500m2 of Altro Whiterock in various colours including white, Dusty Grey and Bergamot as well as stainless steel corners ensuring that at all times that the workmanship delivered was of a high standard and ensuring customer satisfaction. Our team works very long days and weekends to ensure that this project was delivered within the timescales set by the main contractor on site. 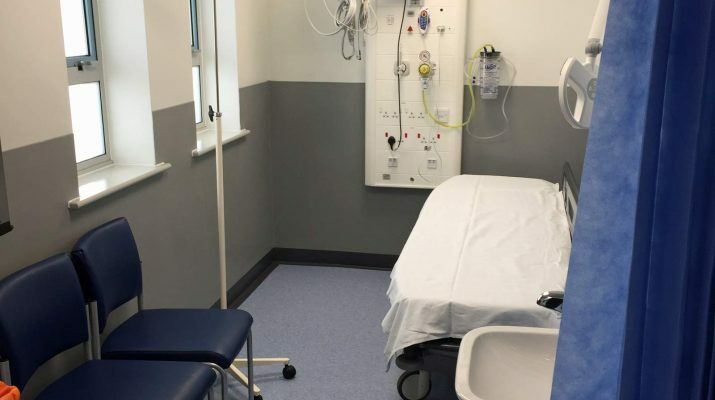 The overall project completed delivered a hygienic finish as well as a welcoming and appealing feel for the patients and staff whom will use the facility fo many years to come. We are proud that our team were able to assist and deliver what was required for the main contractor and since then we have worked on several other projects with this same contractor due to the high workmanship and expertise delivered on this site by our experienced installation team. Our team all have the appropriate CSCS qualification and certification, Asbestos Awareness certification and each team have a trained First Aider with them at all times. Not only do we ensure as a company our team are trained and competently qualified to high standards, but Igloo are a CHAS accredited, Constructionline and Safecontractor accredited company with the necessary insurance policies in place to ensure peace of mind for both parties. If you would like to know more information on the products and services we provide, or you would like a quote please contact our sales team (sales@igloosurfaces.com) or telephone 01709 329117. In 2017 our construction team both in our office and on site were exceedingly, one of the projects we successfully tendered for and completed the installation of was Spire Healthcare, Didsbury in Manchester. This £63 million project is one of the Spire Healthcare’s newest private hospitals around the country delivering affordable quality private healthcare. 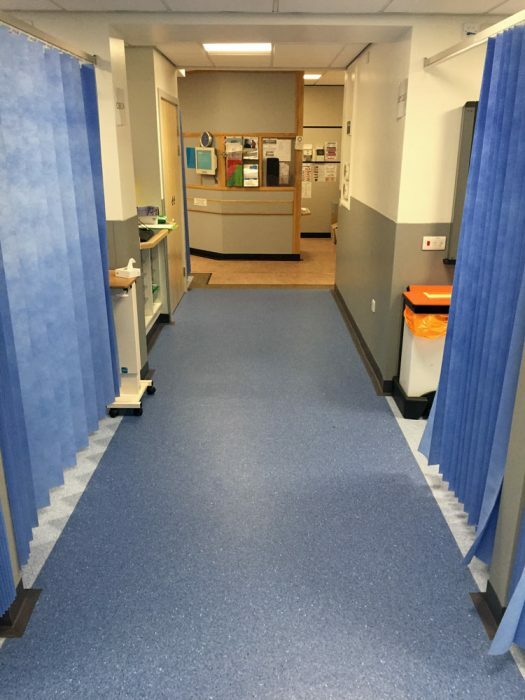 Our installation teams expertly installed over 1,300m2 of white standard quality PVC sheet over 4 floors, in over 80 rooms throughout the hospital including facilities such as the Intensive Therapy Unit, 6 operating theatres even the staff changing rooms and shower rooms around the hydrotherapy room. 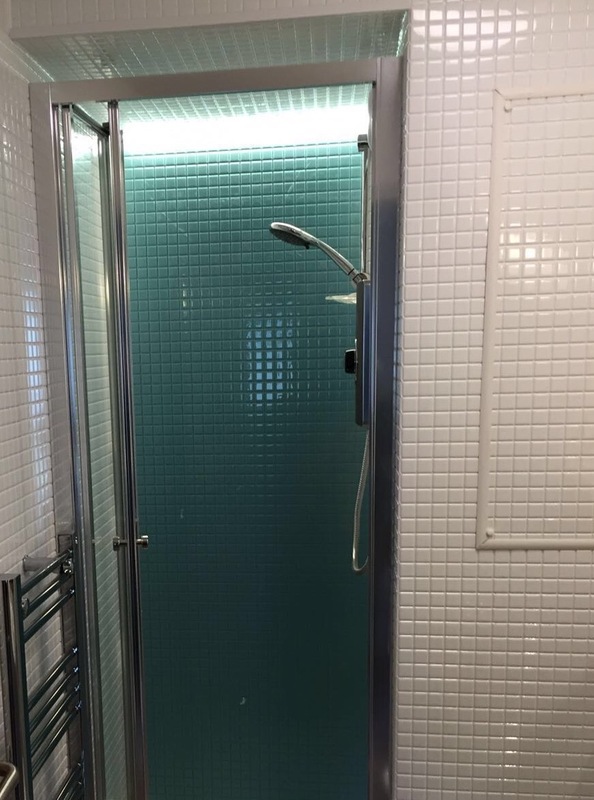 This gave Vinci, the main contractor on this project not only a quality product but with a huge saving compared to the other leading competitors. As Igloo Surfaces is an accredited and certified reputable company we are on Vinci’s supply chain and therefore were able to win the order for this project directly with Vinci and commence working closely with their team on site to deliver a high quality installation throughout the project ensuring their satisfaction throughout. Since then we also won other projects for Vinci and continue to deliver a high quality installation for this major construction company. Igloo Surfaces hold the following accreditations and certifications; CHAS, Constructionline and Safecontractor as having full insurance coverage. All our installation employees have CSCS with some holding SSSTS accreditation. Each team has a First Aid trained employee as standard and all installation employees hold Asbestos Awareness certification which is standard practice for our in house and highly skilled teams. If you would like a quotation for a project you are undertaking please email sales@igloosurfaces.com for a free quotation or ring our helpful team on 01709 329117 whom will be more than happy to help. Igloo Surfaces Limited – the Hygienic Surface Specialists based in Barnsley and installing throughout the UK. Igloo Surfaces have completed this project at Butlins Minehead using the RetroTile. It has been professionally installed by our experienced and qualified team resulting in another happy customer. We pride ourselves on our punctuality, service and customer satisfaction. We have many loyal customers and work closely with them to ensure their requirements are met. We are a CHAS certified and Constructionline qualified company. We are also fully insured. Please contact a member of the sales team on 01709 329117 or email sales@igloosurfaces.com for a free quotation.